A trusted community and a place to call home. Ask us a question or book a personal tour! I agree to receive future promotions from Riverstone Retirement Communities via email. You can unsubscribe at any time. Carlingwood Retirement Community is a fitting addition to an established, respected neighbourhood. The area is known for its safety, comfort and convenience, offering residents a quiet haven that stands close to every amenity you could ask for—including shops, community centres and the Ottawa Public Library. 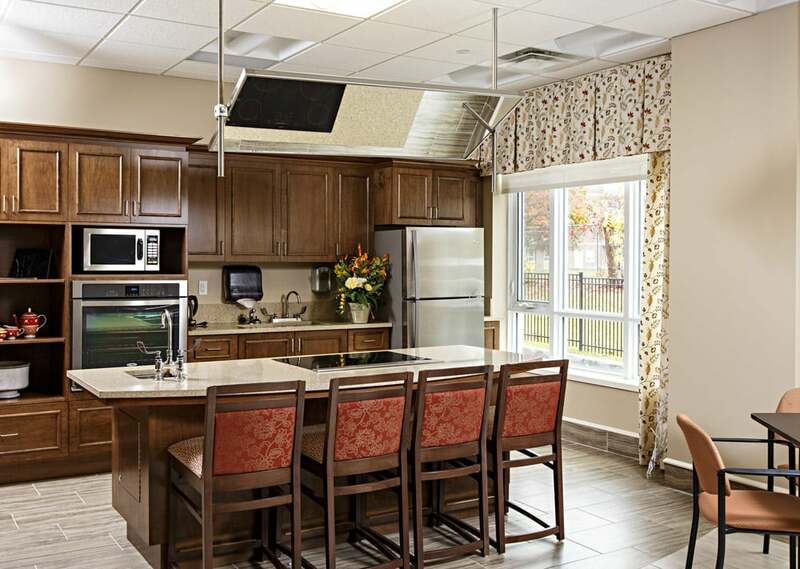 Our complete continuum of care allows you to choose the Carlingwood lifestyle that suits you best. You are always free to come and go as you please, taking part in plenty of in-house and outside community activities throughout the city. Everything you need for your safety, comfort and enjoyment is at Carlingwood. The suites are designed to meet your specific needs, and we also offer a host of amenities and services that enhance your quality of life. Surrounding Carlingwood are beautifully landscaped grounds with the historic Ottawa River nearby. Residents have easy access to a wide range of stores, services and eateries as well. We will be more than happy to answer any questions you may have in regards to the Carlingwood Retirement Community. Talk soon! © Copyright 2018 Riverstone Retirement Communities. All rights reserved.